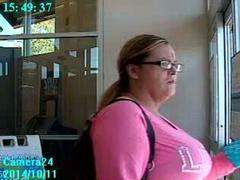 The Holland Department of Public Safety is asking for the public's help to identify a person of interest. 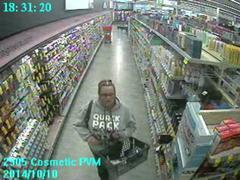 This person may aslo be involved in a string of shoplifting cases spanning Ottawa, Kent, Ionia and Muskegon counties. A string of thefts from area pharmacy and department stores may have exceeded $10,000 worth of merchandise and one or two persons are believed responsible for them. Stolen items include dental cosmetic products, high-end razor blade kits and other cosmetic items.